Tiffany Lerman interprets all fifty of the United States flowers, in a colorful Art Deco style, in this collection by In The Beginning Fabrics. Premium 44 inch wide cotton fabric. Quilt measures 86.5 x 102.5 inches. 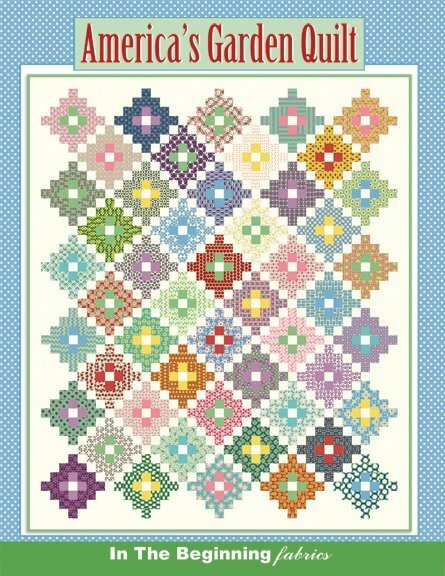 Beginning in February, America's Garden Pattern will be available to you along with the background fabrics, block center fabrics, binding fabric and the first 10 State Flower prints. March - June you will receive 10 new fat eights eachmonth, one for each new State Flower Print. Fifty states in all. Washington State Coast Rhodrodendron and Alaska Forget Me Not. 10 fat eighths of state flower prints. Cost of program is $210 plus tax. Includes over 14 yards of fabric with patterns. Mail orders plus $25. Thank you. 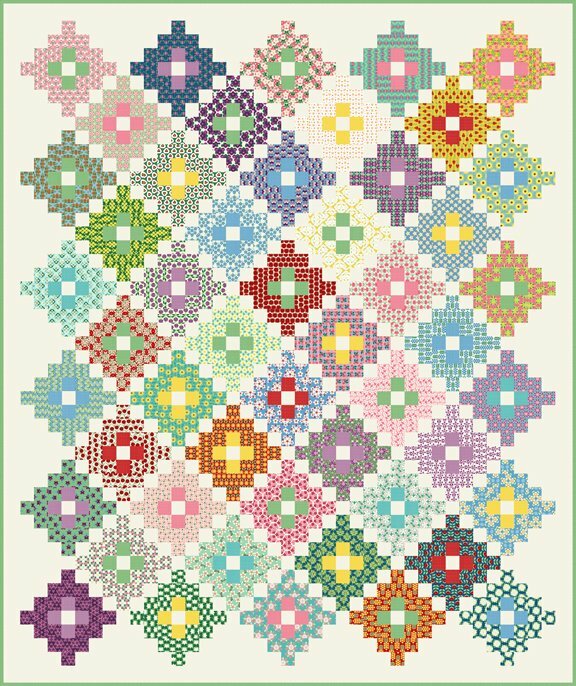 You will need to purchase 8.38 yards for your quilt backing.